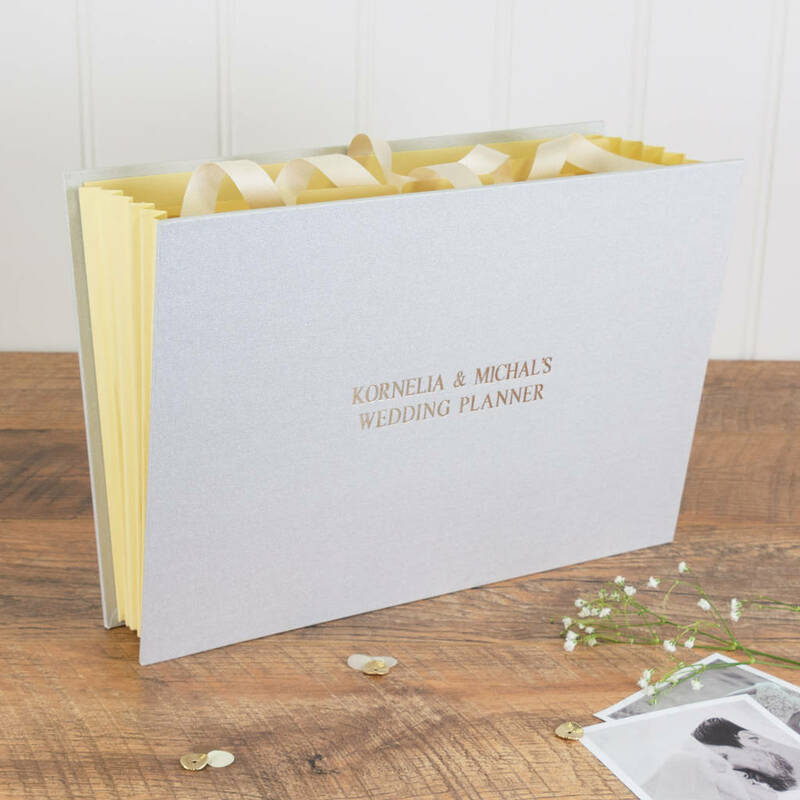 A must-have for planning any wedding, a personalised organiser file will help you tremendously with all of the little details you have to finesse. 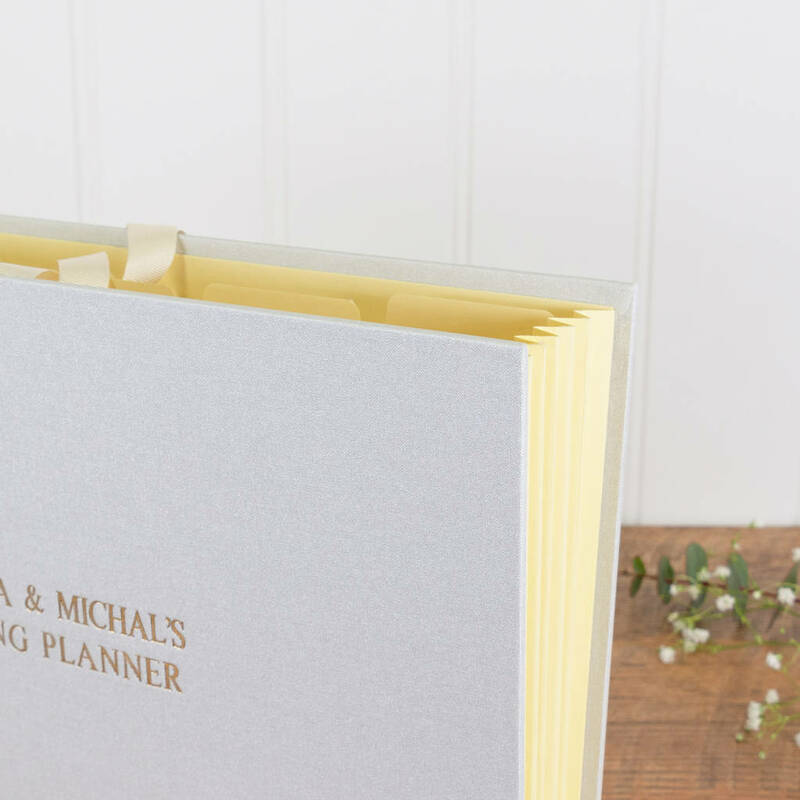 With six separate compartments, all with name tabs, have a dedicated place to keep notes on details such as catering, flowers, and the all-important guest list. There’s also the option to add up to 36 characters of text over two lines, so you can personalise your planner with names, dates, places or phrases that have meaning to you. Choose between silver or gold embossing, with each wedding planner beautifully finished off with a cream ribbon. Equally wonderful engagement gifts, this is something every bride and groom will love. All of our products are 100% handmade in our workshop in rural Bedfordshire, England. We use recycled wood and board, which we then hand cover using the design combinations you have chosen, and personalise them with your bespoke options. Our materials are sourced within Britain (as close to our workshop as possible) to keep our environmental footprint to a minimum. Read more about Harris & Jones on our storefront. This product is dispatched to you by Harris & Jones.